web page, or promote a post, our experts have you covered. grow their Twitter profiles into authority accounts for years. There's a right and a wrong way to grow an Instagram profile. We help you acquire followers that will last and will grow your profile. YouTube profile the push it needs to rank higher and gain traction. No matter your goals and budget, we have a campaign that is totally customizable to your needs. Simply visit our pricing page and start a campaign. 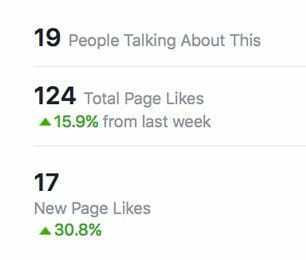 Here at the Boostlikes lab (our offices, we wish we had a lab), we specialize in growing Facebook pages and helping businesses increase the amount of Facebook likes on their fan page. We're one of the few companies that guarantee our service and that will provide lasting, effective results for your fan page. In addition to increasing your Facebook likes, we can also increase likes on photos, statuses, and website links. Our entire team is located in the US, and we've been growing our client's Facebook pages for years (from small businesses to Fortune 500 companies). Ready to give us a try? Head on over to our pricing page to assemble your first campaign. We have something for every budget, and work with all clients, big or small. We're excited to announce a new service for Facebook pages, as well as Twitter and Instagram profiles: monthly drip-fed Facebook likes. 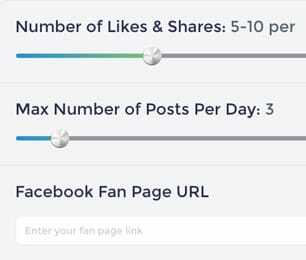 Instead of getting a large number of fans all at once, and then having your page growth stop there, we can work with your page on a monthly basis to slowly and naturally grow your page fans with real human likes. This is the highest quality service we offer; your page growth will be more natural, your fans will stick better, and you won't alarm your current fans by growing too much overnight. To try it out, visit our Facebook likes pricing page and check the "Recurring Auto Likes" section. Pricing starts at only $11/mo for 100+ monthly fans. Boostlikes is announcing another brand new service: auto post likes. This is a powerful new service to help you get more post likes and shares on your new Facebook posts, automatically and hands free. As soon as you post something to your page, we will start promoting it to a new audience and increasing your likes on the new post. This will improve your engagement, post reach, and the overall size of your page. We're the only company that offers this customizable program. If your posts aren't getting many likes, you'll love this service. To try it out, simply visit our status likes page and click "Recurring Auto Likes & Shares". This service is also available for Twitter and Instagram. Do you run an agency, or are you interested in re-selling our services? 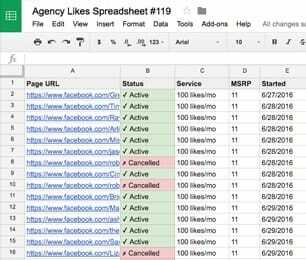 Are you looking for a large amount of Facebook likes on your page, or on multiple pages? You might qualify for our agency discounts. We take great care of our re-sellers, and hundreds of social media and SEO firms around the world use our service to help their clients grow their pages. We are very flexible in how we receive your orders, and no order is too small or too big. If you're interested in our agency discount, please reach out to us to apply. We give tiered discounts to our agency partners, depending on order size and volume. We're excited to work with you; don't be shy, drop us a line. While there's no wrong answer for the size of your campaign, some planning and preparation can go a long way and will help you meet your goals. Once you have a budget in mind and a goal number of fans, head on over to our pricing page to see how it aligns with your budget. Remember that you can always create multiple campaigns. Alternatively, you could meet your goal number of fans in a single order; it depends on your goals. Once you have an idea of how many new Facebook likes, Twitter followers, Instagram followers, or YouTube views you want to purchase, simply place your order on our pricing page, submit your payment, and we'll take care of the rest. It generally takes 1-2 business days to start working on your page, and it takes about a week to finish your order (longer if you placed a very large order for your page). We'll reach out with an order confirmation notice, and we'll let you know as soon as we're finished promoting your page. Your other accounts need attention too! We work with Facebook, Twitter, Instagram, and YouTube, so if you have a profile that you'd like to grow, we can help you take a step in the right direction. If you're looking to place several large orders, or if you're looking for bulk / agency discounts, simply reach out to us through our contact form to discuss discounts. "I am hugely impressed and appreciative for the great work... and even more so by how you have massively over delivered! Fantastic service all round - a big thank you! I have just passed your website details over to a friend of mine who will be signing up with you"
"This company is absolutely awesome!! Theres a lot of scammers out there that offer bots and stuff and they really create a stigma to actually credible sites like this, you guys are the only company that i have found that is actually legit." "I am sorry I doubted you, I had a very bad experience with another site that claimed to do what you did. I was just afraid it would be the same situation. Your service is working and its amazing. Thank you so much!" "Excellent service and really professional of you and Boostlikes. I will definitely recommend Boostlikes to my peers who are intending to set up their own Facebook pages." Do you have a testimonial of our social media program?